There are so many moments in this one, I will try to be organised and direct. If you have not read any of the books in the Shadow World, specially The Mortal Instruments, then I seriously recommend that you first read those and then this one, and if you do not know what this one is about or who is the main character, then please stop reading this, because it contains spoilers for those who are new to the Shadowhunters world. That said, welcome and I hope you share my thoughts on this one. 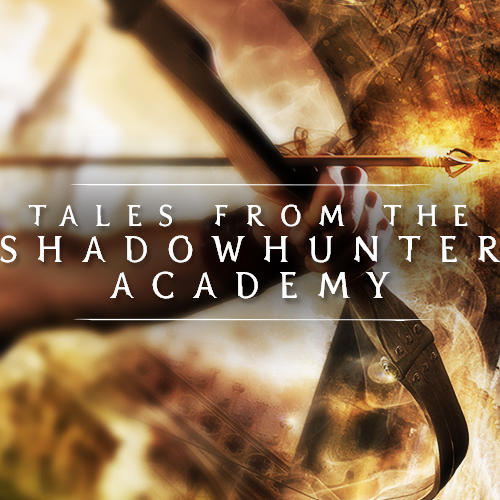 Tales from the Shadowhunter Academy tells us the story of one Simon Lewis, after the events in The Mortal Instruments. I personally did not like Simon before reading this book, I used to find him annoying, funny, yes, insightful at times, but completely and utterly annoying, do not ask me why because I do not really know, he and Maia were my least favourite characters from the Shadow World, and that is saying something since I love these books, the world that Cassie Clare created is great. Now, I did not read this one until I was done with all of the books about Shadowhunters, and I actually had no intention of reading these short stories, and boy was I wrong, they are just as good as the rest, specially when you see Izzy is there, then Magnus and Alec, then Tessa, every awesome character in the series makes an appearance and I was freaking excited about it. Then we have a little bit about the past, since we are in the Shadowhunter Academy, the one that was close for many years, then of course we go back in time to know some characters that were there before, like Tessa’s kid and the others’ as well, By the Angel, this book has many short stories about the past that are just right and completely great, and true fans (*raising my hand*) really, truly appreciated those tales while reading. I wanted to tell you about them all, but I think you might want to read it yourself. Robert Lightwood also told us an incredible tale, as did Catarina. And many others in the stories from the past, the stories that will have you nearly crawling inside the book or the screen of your phone. 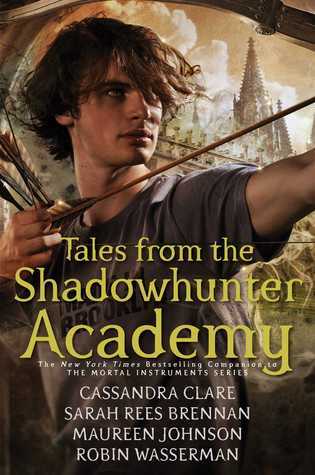 And there are some other Shadowhunters that are training at the Academy with Simon. Truly, I just wanted to mention that these short stories are totally great, and I regret not reading them before and I am sorry I had my prejudices against Simon, because I truly did. Apparently Cassie loves Simon and wanted us to like him very much, otherwise there would not have been a book dedicated to tell us stories about him, around him, and how he became once more part of the Shadow World, you know after he stopped being a Vampire, and lost his memories, no? Spoiler? I did say you should read The Mortal Instruments first, more specifically: City of Heavenly Fire, since that is basically the prequel to this one. Alright I am done now, this one was really a in general kind of thing but I do hope you stayed to the end, and if you did, thank you for reading. And if you read this book then let me know, I would love to know your thoughts on it. Until the next read, lads and lasses.